Appliance repair and maintenance is the newest service we are offering as of January 1st, at Mike’s Handyman Services, LLC. What better time could there be to highlight the value and importance of this service? Below we’ve calculated the average costs, lifespan, and installation fees for new appliances. Along with installation, you’re typically looking at spending around $850 for a new washing machine, and that’s if you aren’t purchasing a high end machine. The good news is that washing machines can be surprisingly simple and relatively cheap to fix. If the washer can still spin (the most difficult/expensive problem to fix), but is damaged or broken in some other way, it is worth repairing. Dryers are cheap and simple compared to most appliances. They don't deal with water so you never have to worry about leaks, they don’t have to many parts, and they are generally easy to take apart and repair. If you identify the dryer being louder than usual, if it is making any strange sound or smells, you should have it inspected. You should also make sure you are cleaning out your lint trap and filter regularly to increase the lifespan of the dryer and potentially averting fire hazards. Mike’s Handyman Services also offers dryer duct cleaning as a service, which can help your dryer run more efficiently as well as increase its lifespan. The cost range for refrigerators is fairly wide, but you typically see the final cost of a new purchase and installation coming in at around $1300 for a good model. With most models having a freezer attachment, as well as a water dispenser and ice maker, there are a plethora of working parts that can fail over time. The only time we suggest replacing a refrigerator is opposed to repairing it is if the compressor needs to be replaced or if you are planning a major remodel. The compressor is the most expensive part of a fridge to replace, typically running around $500 for the part, not including repair costs. With proper maintenance and repairs, a fridge can last as long as 15-20 years without being replaced. Here we have what is commonly the most expensive appliance in the kitchen. A decent oven, after installation ordinarily comes in just shy of $2000. That’s pricey. 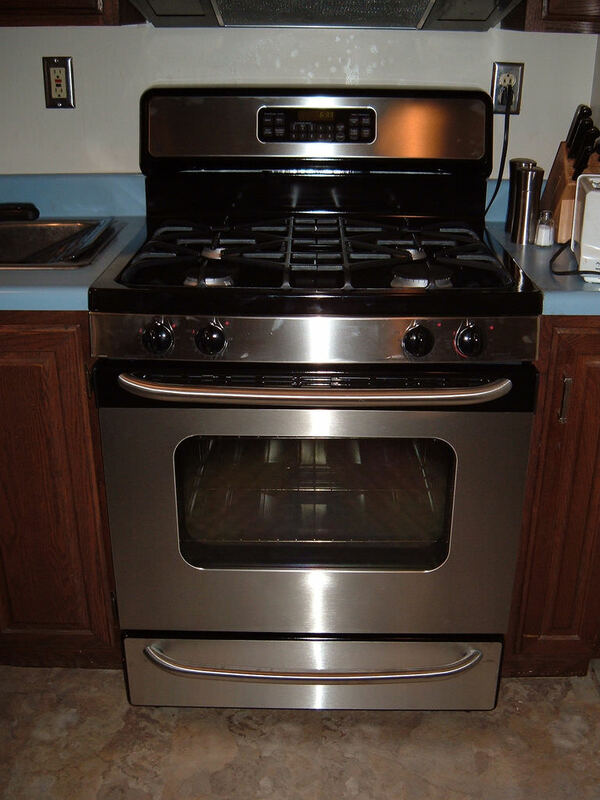 We don’t recommend replacing an oven unless it begins heavily rusting. Inspect and clean it frequently, and if you notice any problems, have it inspected right away- especially if you own a gas range. The average cost of repairs for any of these appliances are a fraction of the price you would pay when compared to simply purchasing a new appliance, and saves you the hassle of having to deal with installation. Get the most out of every purchase you make! Give us a call if you ever have a problem with your appliances!